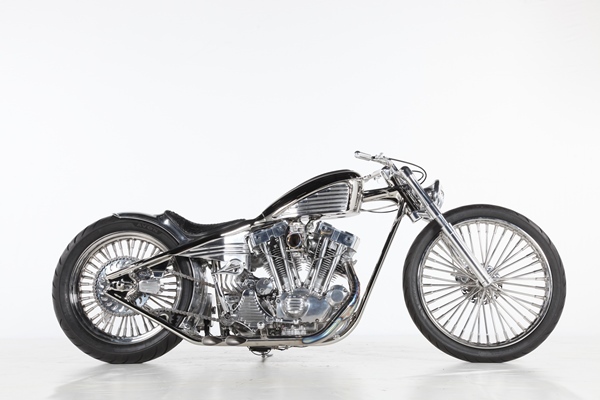 Suicide Customs is AMD World Champion Custom Bike Builder | Hupy and Abraham, S.C. 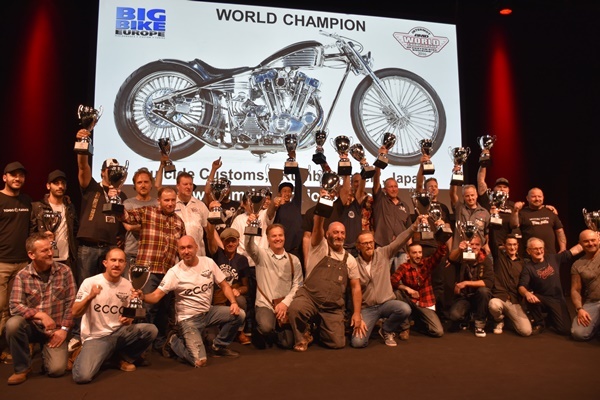 Sponsored by AMD Magazine, the AMD World Championship of Custom Bike Building concluded on October 10 in Cologne, Germany. 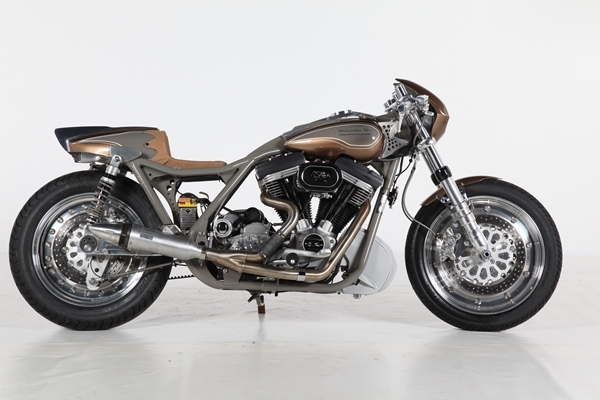 The AMD world competition started at the Custom Chrome dealer show at Morgan Hill, California in 2004 and has been held in various locations in the United States before moving to Essen, Germany in 2014. 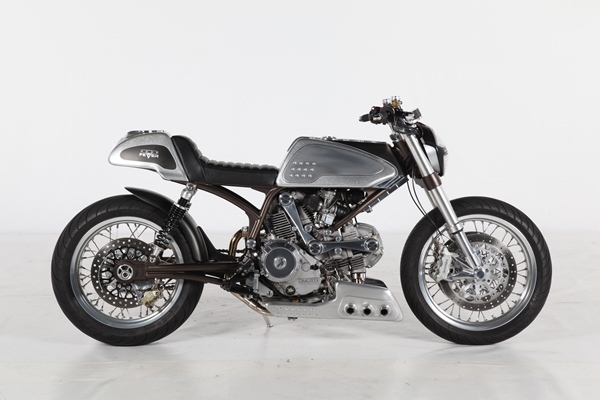 AMD stands for American Motorcycle Design, and the world championship is judged by peer group review in which the competitors themselves, along with selected VIP judges, choose the world champion who will reign for two years. This year, as in 2014, the AMD World Championship was held in conjunction with INTERMOT Customized, a huge motorcycle expo featuring manufacturers and after-market accessory makers, displays, technical workshops and more. 220,000 people visited INTERMOT this year and the inclusion of the AMD championships was an overwhelming success. Owned by the German Motorcycle Industry Trade Association, IVM, INTERMOT is regarded as the leading international motorcycle industry trade and consumer exhibition in the world. The bike competition was comprised of 82 bikes built by 67 competitors from 23 countries. 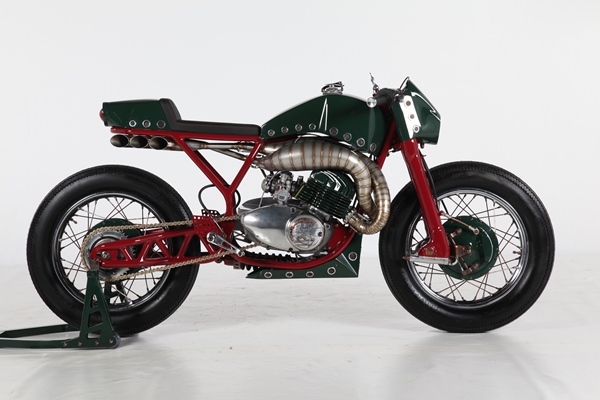 For the third time in its brief history, a builder from Japan took home top honors. 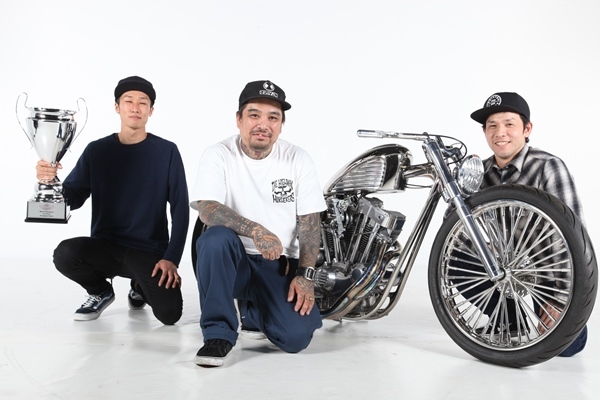 Competing in the crowded “Freestyle” class along with 41 other entries, Koh Niwa won the coveted title of AMD World Champion of Custom Bike Building with his 1,000 cc V-twin named “Rumble Racer.” He builds his bikes at his shop, Suicide Customs, Inc. in Anjyo, Japan. 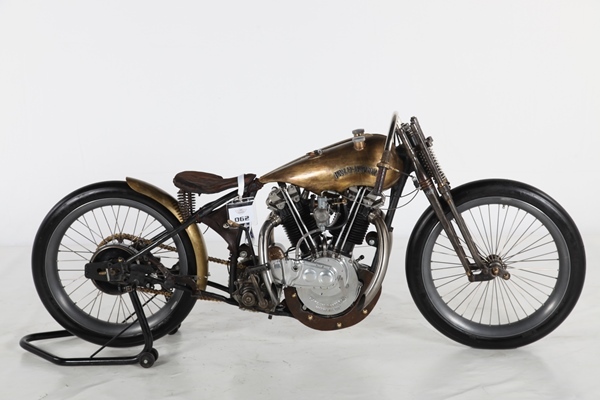 The bikes are judged on design and engineering and are absolute works of artistry in iron. Besides the honor of being named world champion and taking home an impressive trophy, Niwa also received a championship ring, handcrafted in England by Alabaster & Wilson. The 18ct gold ring, adorned with diamonds and black onyx is one of a kind and was handcrafted by Alabaster & Wilson, makers of fine jewelery and ceremonial items to the British Royal family, Houses of Parliament, and many other famous British and international institutions for over 125 years. Past World Champions are Roger Goldammer, Canada (2004,2005,2008); Stellan Egeland, Sweden (2007); Dave Cook, USA (2009);Fred "Krugger" Bertrand, Belgium (2010, 2014); Tavax Engineering, Japan (2011); Andreas Bergerforth, Germany (2012; Don Cronin, Ireland (2013). The 13th AMD World Championship will be at INTERMOT Customized in the Cologne Exhibition Center (Koelnmesse) in October, 2018.